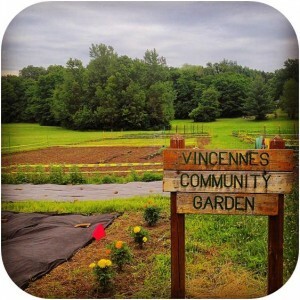 The Vincennes Community Garden is a partnership with the Knox County Chamber of Commerce and the Knox County Soil & Water Conservation District. It is a wonderful opportunity for Camp Green to grow more fresh fruits and vegetables to feed our YMCA day campers. This year we are growing a wide variety of plants from cantaloupe to sweet corn. Sunflowers, cucumbers, and watermelon are just a few of the other plants we’ve assimilated into our garden plot. This plot allows us to educate the day campers about where their food comes from and how it travels all the way from a farmer’s field to their dinner plate.